First of all, let me just say that I’m not depressed. My emotional well-being is a-ok. I’m in good spirits most of the time, I just haven’t been able to… muster the momentum I used to have. I can’t get myself to rally. In an effort to figure out why things went south I started dissecting my past projects. The good and the bad. Two prominent theories emerged. The first theory was that I only like working on my own projects. I used to procrastinate like a sumbitch when I had graphic design clients. I kind of resented working on other people’s projects because I felt like it took time away from my own ideas. Maybe that was the problem this time around too: I turned my attention outward and was suffering a motivational malaise because of it. But that didn’t quite make sense. My work at Tightrope has been some of the most fulfilling work I’ve done my entire life. And it’s all been “for someone else”. So that wasn’t the answer… or at least not the whole answer. 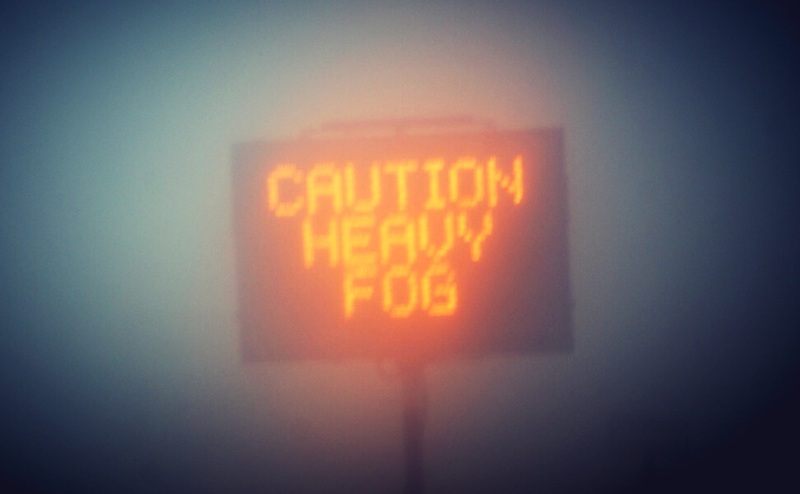 It was like getting hit by a MAC truck on a foggy highway. I only had just enough time to see it coming before it barreled into me and exploded my psyche into a fine pink mist. The pattern emerged and it seemed unstoppable. Everything fell into place. All my past projects, hobbies, interests, etc. They all fit the pattern. Even the videogames I’d been playing fit the bill. I had the recipe for supreme motivation. There are only three ingredients. 1. A clear plan of action. 2. Tangible progress as a direct result of my actions. 3. A frequent, intermittent reward structure. I have had many projects die in the past because I didn’t know what to do next. This is a clear violation of ingredient number 1. It also causes doubt which can spiral into disbelief in oneself and drains motivation from other areas of life too. Bad all around. My coffee siphon project is exactly where I left it in July, because I’m not sure what the next best step is. Without a clear plan, it’s also impossible to make progress, which is ingredient number 2. Motivation dwindles when progress slows or when action doesn’t create a sense of progress. Both situations can cause the problem. My book reading progress slowed down when I started riding my bike to work because I used to read on the bus. I lost motivation to write when my hour-long morning writing sessions began yielding fewer and fewer published posts. Lots of action, but no outcome. I lose motivation at Tightrope when my efforts don’t yield results. And I’m not talking about wins, I’m talking about anything. If I spend 20 hours on a marketing campaign optimization, launch, and then see absolutely no performance change than I feel like it was all a waste. It would ironically be more motivating to see a decrease in performance than to have nothing happen, because at least my actions had some kind of result. I can learn from failure, and learning is progress. The flip side of this is when stuff happens, good or bad, but not as a result of anything I did. If it’s good I feel like a fraud. If it’s bad I feel like a martyr. Either way it creates a devastating sense that I’m not in control… so what’s the point of trying at all? Again, anathema to motivation. Ingredient 3: Frequent, Intermittent Reward Structure. Progress itself is a bit of a reward. A dopamine boost. A shot in the arm. It feels good to feel like I’m getting something done. This is the crux of the “Don’t Break the Chain” mantra repopularized by Jerry Seinfeld. But WAY better than that is when something I do creates a positive output, when I get something of value from my effort. Publishing a blog post is tangible progress and feels good. Getting 1,000 hits from Reddit and a handful of retweets because it resonated with people is even better. That’s the reward. If there are zero rewards, or if the reward is not of sufficient value for the amount of effort then motivation suffers. I’ll also start to lose motivation if the reward is too regular. Maybe because the reward becomes so common that it loses emotional-economic value. That’s why they need to be somewhat intermittent. While the above model has become clear to me, it’s nothing all that new. It’s a remix of the behavioral research done by Jane McGonigal and B.F. Skinner. I was only able to see the patterns and distill the lessons because I had their ideas floating around in my head. The breakthrough for me was that all this motivational psychology has finally been distilled into lessons that I can apply to my life. Remembering facts from books is knowledge. Learning those facts first hand is wisdom. Maybe the most helpful discovery is that these three ingredients operate in two directions. A plan facilitates progress, and progress facilitates rewards. But they also work backwards. 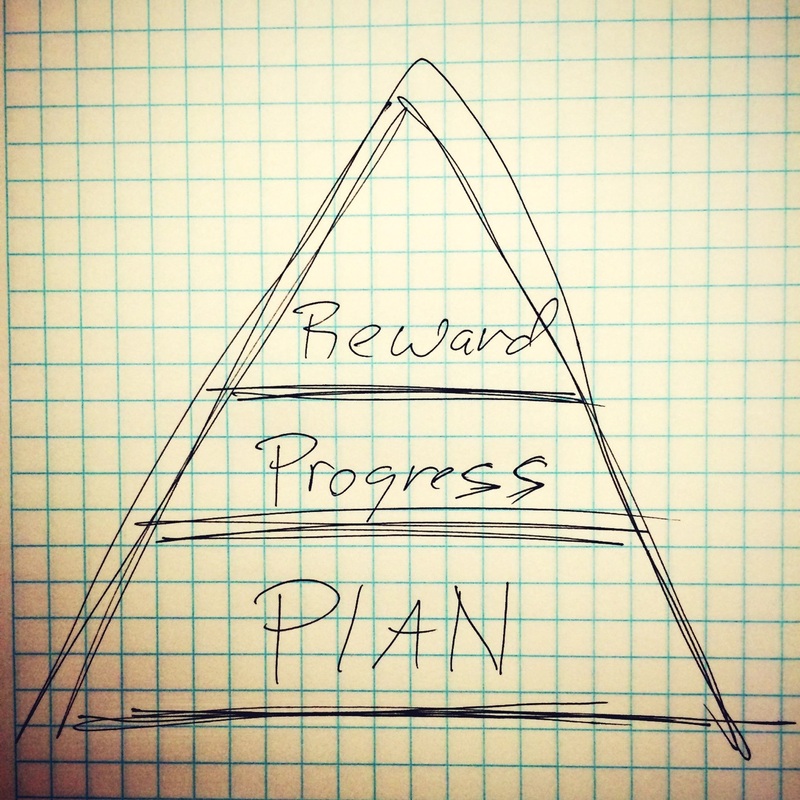 Rewards validate progress, and progress validates the plan. So, if for some reason the rewards dry up, it can cause an invalidation chain reaction whereby progress halts and the plan is suddenly thrown into doubt. And without some kind of plan we believe could work, there’s no way to move forward. That’s what happened to me. I suffered a catastrophic motivational breakdown. My rewards either dried up or never materialized, so I stopped taking action and making progress. And once progress stopped all my plans looked worthless. Because this happened to all of my projects, my MASTER PLAN to even pursue ANY projects (in general) looked worthless. Ambition in the real world suddenly felt worthless. So I retreated into the blissful productivity of videogames. All of these realization are great. But the best one has been that my goals aren’t flawed. I don’t need to reassess who I am and what I want out of life. I just need to fix the system I’m operating within. The original note for this post. A four sentence realization in my phone that ballooned into the above text wall. Funny how that happens. And I didn’t even break down how those games are structured, like I wanted to. Progress is the most motivating thing. A clear path, tangible progress, and slightly random reward structure are a recipe for motivation. Set this up for myself whenever I notice flagging enthusiasm. This is what destiny and mordor both do, and it’s why they felt so addictive… even when I was bored playing them. How Far is a Day?